Lurking about the murky London underground are a slew of heinous crimes likely too impossible for even DCI Cassie Stuart and her partner, DS Sunny Khan, to solve. But so far, this unflappable crime-solving duo has yet to come face to face with a murder that’s truly unsolvable. Cassie: How do you do that? John: Certain materials have the ability to change incident visible wavelengths into longer invisible reflective ones, if you shine a luminescent infrared light at them. Ink is one of them. Cassie: I have absolutely no idea what you’re talking about. Jace: Cassie and Sunny are highly efficient coppers — with no bells and whistles to speak of, beyond their committed search for pieces of the long-buried truth. In this first season of Unforgotten, now airing on MASTERPIECE, a set of skeletal remains discovered buried beneath an abandoned basement forms the center of an intricate web of disparate individuals. A high-flying new government minister, a beloved community priest, a reformed skinhead, and an elderly couple in retirement share an unspoken connection to the crime. Cassie: Thirty-nine years after she last saw him, she cried like a child at this news, as did I, as she told me how she missed her boy, her only child, for every hour of every day of every week since she last saw him. So I’m gonna find who caused a pain that’s very much alive today, who took his life, who took hers, and I want to punish them. Jace: Nicola Walker, perhaps most well-known to American audiences as Ruth Evershed in Spooks (aka MI-5) and Gillian in Last Tango in Halifax, joins us to discuss Cassie Stuart, the nature of truth and justice, Four Weddings and a Funeral, and much more. 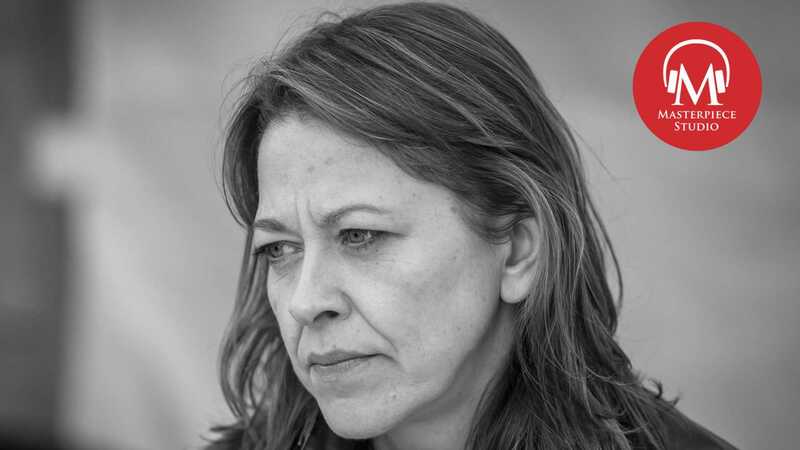 Jace: And we are joined this week by Unforgotten star Nicola Walker. Welcome. Jace: Unforgotten marks your third time working with writer Chris Lang, with whom you previously partnered on A Mother’s Son and Torn. How would you describe Chris’s work? Nicola: I think that Chris’s work is very different to a lot of other writers. The thing that always draws me to Chris is that he becomes obsessed with something that’s going on around him culturally. There’s an itch that Chris Lang wants to scratch and he does that by by getting it down on paper. That’s why you want to do his work because it always very relevant. He’s always fed by what’s going on around him at the time. Jace: What did you initially make of the character of DCI Cassie Stuart? What was your first take on her? Nicola: I was drawn to her immediately when I started reading the scripts, and I flew through the scripts. I know actors say this a lot, you know they say, “Oh I got scripts and I just couldn’t put them down.” But you really couldn’t with the Unforgotten ones, because I hadn’t read a female lead like that for television for a long time, and I certainly hadn’t read a police officer who was like that that. She seemed to me to be incredibly real. We have in England a show called 24 Hours in Police Custody. It’s just a documentary about about police. I love them. I really enjoy watching them. For me, Cassie really resembled someone who really did it for a job. It seemed a very true representation of someone. She’s not got the normal tropes that coppers have in dramas. She’s not an alcoholic, she’s not going to appalling home life, she’s not got a dark secret. She cares passionately about her job. She wants to do a good job. Mainly that was the thing that made me really, really want to get involved. Jace: We get these very tiny glimpses of Cassie’s personal life. We know that she’s either divorced or separated from her husband. She has two college aged sons and she now lives with her widowed father. How much backstory did you get going in? Nicola: It’s interesting because I didn’t get very much more than you, the audience, get. As the scripts came through, I learned more about her. The main thing I knew from the beginning was that her husband wasn’t there. I didn’t know why. I knew that she was in that really strange position of having two children that she loves very much who are leaving. They’re growing up and they’re leaving, quite rightly, as they’re meant to do–and that she’s still recovering from the death of her mother. And what I really loved was that Chris examines it through the father. It’s what Chris doesn’t say that I find really interesting. Cassie’s own grief goes unexamined by her. She throws it all into her father. But I knew as much as Chris wanted me to know, and that was, to be honest, that was plenty. Jace: Cassie and her father Martin played by the great Peter Egan love to solve crossword puzzles a hobby that seems tailor made for a detective. What does it say about the way that Cassie’s mind works? Nicola: Yeah I think it’s a really good little breadcrumb of information to the audience. She is phenomenally practical and smart. She’s a great empathizer. But she has this very logical brain and I think that’s a great combination for her job. I think the thing that makes her very good at her job is this empathy and this emotion that she feels. But I think she has to be careful with it sometimes; she has to keep it a little bit in check. Always overriding it is her desire to get the case right. But I know that when she meets Jimmy’s mother, played by the brilliant Frances Tomelty, something just breaks in her, because she has the understanding of what it would feel like to be a mother always waiting for the phone to ring and tell you where the body is and what happened. So she’s got a balancing act with that crossword brain and this very tender heart as well. Maureen: So much life one person can create, Mrs. Stuart. Cassie: And I’m gonna do everything I can to find whoever stole that from you, Maureen. Everything I can. Jace: What was it like filming that very intensely emotional scene? Nicola: Well it’s really lovely that you pick that moment, because that was Frances. 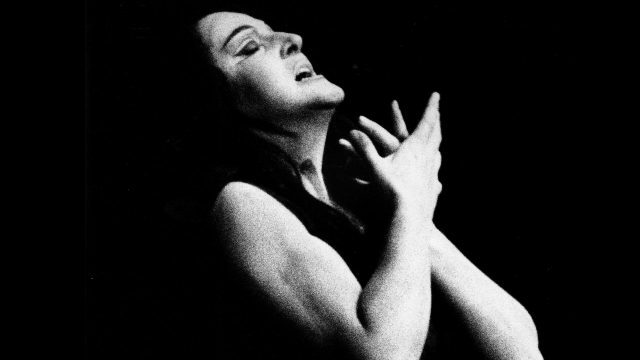 That wasn’t a stage direction, that was completely from Frances and it sort of took the breath out of my chest. The first time she did it I wasn’t expecting it. You have to be really, really careful when you’re playing these sort of television tropes of a detective. You end up doing impressions of other brilliant actors you’ve seen doing a detective, and Chris doesn’t write like that and then you have actors like Frances, who don’t let you perform it like that, either. So that scene wasn’t scripted for her to do that, she just grabbed me. And I found it incredibly moving, because they’re just people in the most desperate, desperate circumstances. And Frances just did what you would do. And I thought it was a brilliant moment. It was completely down to her. Jace: Why does Cassie react so strongly to meeting Maureen, and what is it about Maureen that strikes such a chord in Cassie? Nicola: I think it’s the mother thing. She’s able to put herself into Maureen’s shoes and imagine sitting in that house in Liverpool completely forgotten. She’s a mother that’s been left, her son disappeared. No one cared. It was left. And it’s that, I think, that draws her. The is completely unacceptable and the fact that she knows, as a mother, Maureen’s just been living a very empty, extended life without knowing. Maureen: And then one day the letters just stopped. And I waited. I waited even though I knew. I had this instinct, this dread that something very, very bad had happened. And after those four months, I think it was, I went down to London and I told the police. Jace: In that quote which is, “Is a crime less a crime because time has past? Is a wrong less a wrong because it was done 50 years ago, or 60 or 70?” Is that ultimately the crux of Unforgotten? Nicola: Yes I think it is. It’s the drive of the series. Interestingly, Chris has spoken in interviews about why he was compelled to begin writing the series. And it was because of something that was going on on his own going here in England. You know there were a few cases that he named a particular case of someone very very famous who we all grew up with his children who turned out had done appalling things and he was fascinated in how that person lives the life knowing they’ve done something appalling. Nicola: Chris has been very open about that, that it led him to set him on this path to think about, “How do you cover up and carry on?” And then, more importantly, the people around you: How do they feel once they realize the person that they’ve been living with, it’s been a lie? I love the way Chris looks at it on a grand scale, and then he takes it right into Cassie’s own life. Jace: What is it like filming those Cassie-Martin scenes with Peter Egan? Nicola: They are rather amazing and the conversations that you end up having with Peter Egan off-camera are brilliant and beautiful. We spend a lot of time crying, me and Peter. We have similar personalities in that we’ll start talking about something and then he’ll say something just wonderful and wise and I’ll start crying and then he’ll go, “Don’t you start, you’ll set me off.” We spend a lot of time laughing, but we do spend quite a lot of time weeping. So it works perfectly when we then go into the scenes of this father and daughter who are missing a mother a wife and just trying to get on, trying to ride the waves of grief. Jace: With Unforgotten that that idiom feels especially palpable, that murder secrets will always be unearthed in the end, however cold the trail may be. Is it impossible to conceal secrets forever, do you feel? Nicola: Well, Unforgotten tells you it is, that bodies don’t stay buried. This is the problem. I’m not the sort of person that can keep a secret, even a small one. I find it hard to keep my PIN from my credit card a secret; I forget to not say out loud when I’m putting it in in shops. So I am I am I am actually not a very good secret keeper at all. I wouldn’t ever commit crime because of that. I wouldn’t last a day. Jace: How does that stress play out with the characters in Unforgotten who are concealing secrets that end up–especially in the first series–being both murderous, and more mundane? Nicola: To varying degrees, they do quite well. I mean I think Father Robert has done incredibly well; he’s in a position of respect and responsibility within a community. He’s covered a lie for a very long time. 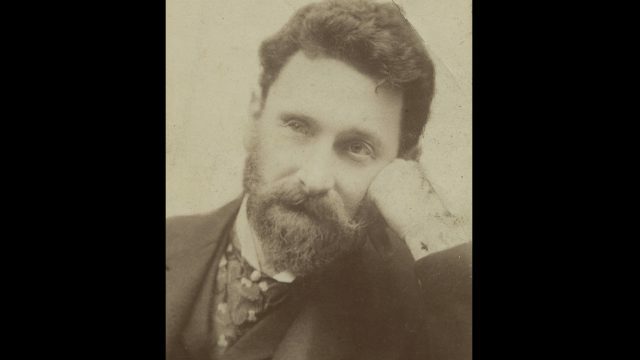 Sir Philip Cross has risen to the highest levels in society. He’s covered his tracks. He’s paid to have his tracks covered. He’s committed all sorts of crimes to to keep himself clean. Lizzie has completely recreated herself. I feel for Lizzie, I feel huge sympathy for her character. The incarnation that she was, it’s almost like another person. And she is collateral damage. I find that interesting that they’ve all remade theirselves along the way. But it all comes out, that’s the thing. The body comes up, and they’re all connected, and there and there’s no way of hiding anything anymore. It’s that knock at the door that they’ve all been waiting for. I think a part of all of them, every single one of them, there’s been a part of them that’s alive to the fact but one day there might be that knock on the door and it’s going to come pouring out. Jace: What I love most about Unforgotten is the sort of collateral damage effects of a crime. Murder affects more than just the murderer and the victim, but the effects spread outward like a web to infect everyone around these people. Cassie in particular seems driven by a desire both for truth and also justice. How complicated is her relationship to those ideals? Nicola: I think she is interested in justice. She’s very clear: if a crime has been committed, however long ago you find the perpetrator, they are tried. If they are found guilty they’re convicted. It’s very, very simple, as far as she’s concerned. As this story unfolds I think it gets a little bit more complicated in her mind because of the effect on everybody connected to it. Nothing’s that straightforward in life. I think she changes, even as the series moves moves forward. It isn’t that simple to who to bless and who to blame, apart from the person that committed the crime. I think it starts to dawn on her. It’s not quite as clear cut as that. There are going to be people whose lives are utterly devastated. That’s not going to stop her from doing it; it’s not going to stop her from knocking on the door, but it doesn’t sit quite as easily with her as she expected it would. Jace: I love Cassie and Sunny’s partnership. They both seem linked by a sense of loss or upheaval in their lives. They’ve both got kids. Their marriages have ended. What makes these two tick as partners? Nicola: I love their relationship. This relationship between Sonny and Cassie was was a big part of why I thought the series really, really worked. It struck me that I hadn’t really read something where a man and woman who worked together — you know, she’s his boss actually — that they get on really, really well. They really respect each other. They really lean on each other. They need each other, and they fulfill a need. In each other that they don’t have a home. But it isn’t. You know it’s not sexual, it’s not physical. It’s a real meeting of minds. I think they find each other hilarious. They work together incredibly well. Jace: I mean from their very first scene, Cassie and Sunny have this very real, believable dynamic. Sunny: Oh yeah, all night at Whiskey Miss. Cassie: It’s Mist, I think you’ll find, Mr. Coolio. Sunny: Whatevs. You’re a woman, aren’t ya? Jace: What is it like working with Sanjeev Bhaskar, and how did you create that sense of familiarity between these characters? Nicola: The strange thing is, we felt like we knew each other from the moment we clapped eyes on each other. We’ve never worked together before and we were sat next to each other at the read-through. There’s no way of knowing if you’re going to click with another actor, but I knew within seconds of us talking to each other that we were going to be absolutely fine. I knew straight away. We felt comfortable with each other immediately. You have no idea when that’s going to land when you get a job, but it did it as soon as Sanjeev sat down next to me. I thought this is going to be good, we’re going to be absolutely fine, and we do get on really well. Jace: Now this week’s episode ends with the revelation that Robert not only knows who Jo-Jo is, but they are in very close contact. 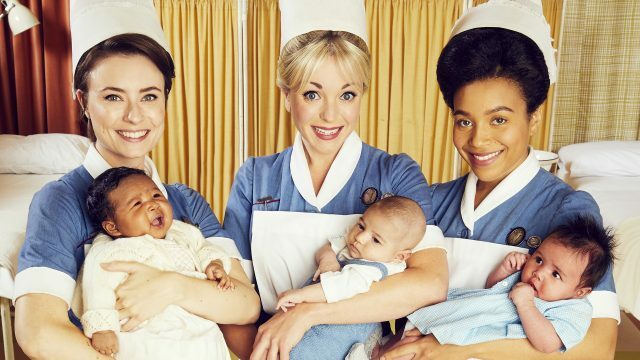 What can you tell us about the episodes coming up in this first season? Nicola: You’re going to get to know a lot more about Sir Philip. We we spend a lot of time with him and his associates, and there’s a party coming up for Eric Slater and his wife. A huge celebration of their 40 years of marriage and that’s a rather interesting episode. It’s not going to go the way you think it does. He’s going to take you down a few very dark alleys, then lead you out and take you down the actual path right at the end. So you’ve got to hang on really till the very end. Jace: Is it true you started taking acting classes so you could speak to boys? Nicola: Yes it’s it is true, yes. I can’t think of a better reason really. I was 13 I went to an all-girls school. How do you meet boys? I think it was ballet–I tried one class and I got thrown out because I kept talking and they kept saying I should be talking with my body not with my mouth. They told me they were drama classes upstairs, so I thought I’d be more suited to that. Jace: How did former Great British Bake Off host Sue Perkins help you during your formative years at Cambridge? Nicola: She kept me sane. She got me drunk. She took care of me. She got me involved with Footlights. I didn’t even really know what Footlights was. She became the head of Footlights in my second year there. In my first week, she was meant to look after me. She was meant to be my college mother, look after my moral welfare, which basically involved her taking me out and getting me quite drunk. And saying you know, come to Footlights, and try to do some sketches. Cambridge is a frightening place to arrive at. When you’re 19 and you’d never imagined going there, you presume that everyone is far more–they know what they’re doing and you haven’t got a clue. Meeting Sue was perfect because she she just opened up this world. I met most fantastic people–19, 20, 21-year olds who all wanted to write their own stuff and perform it, and that’s what we did. And some of it was awful, terrible, dreadfully unfunny, but some of it was glorious. Jace: Your first film credit is in 1994’s Four Weddings and a Funeral, where you play the rather irritating Christian folk singer who sings Can’t Smile Without You. What was it like shooting this film? Nicola: Well it was unbelievable because I’d never been in front of the camera. I’d only done, like, plays above pubs in London. So it was quite unreal. The director Mike Newell said to me, “We’ll get you on set as much as possible so that you can see what it’s like, a film set, so you can get a feel for it.” So I found myself lighting up on this set. All the caravans, they’re all lined up—and it’s Andie MacDowell and there’s Hugh Grant and there’s Kristin Scott Thomas. It was surreal. And it’s come full circle because James Fleet was on that job as well, and he’s actually in Unforgotten three. It was eye opening. The funniest thing was I thought, “Oh this is what being an actor is like.” The benchmark was a bit high for what it actually turned out to be, for me, for the next five 10 years. I thought everything would be like Four Weddings. I didn’t realize until years after that it was a beautiful little blip of an introduction to the world. Jace: Going all the way back to Touching Evil, opposite Robson Green. You seem to have an affinity for playing coppers. Jace: Why is that, do you think? Nicola: I think it’s probably because policewomen are a really great way of writing a fantastically dramatic emotional story. They’re great parts, you know, and it’s a good way of getting women up the front. I think that’s why I’ve played quite a few coppers, because they’re great parts. Jace: You won an Olivier Award in 2013 for your work in The Curious Incident Of The Dog in the Nighttime and more recently appeared in the London and Broadway productions of Arthur Miller’s A View From The Bridge. What was it like seeing your name in lights on Broadway? Nicola: Amazing, and totally unexpected. I spent a lot of time the first week in New York outside the front of the theater taking taking pictures and sending them home to my family. I didn’t think that that would ever be in my career. It all felt so like such a brilliant gift–suddenly we’re getting to go with a production that we will believed in so much. I totally fell in love with New York. My family came out for a bit, but I spent quite a lot of time there on my own. It’s a great city to live in. It may never happen again, but no one can take that away from any of us. Jace: I heard you and your co-star had a surprising onset hang out. What was the Fox and Walker? Nicola: When we arrived, me and Phoebe Fox, and we always shared a dressing room. So we got there, and I said to Phoebe, “Why don’t we just stay in my dressing room, turn your dressing room into a bar?” So it was the Fox and Walker. It was open six nights a week—we would be sitting there listening to our fabulous stage door voice, at the end of the show, she would call out the amazingly impressive roll call of people that were coming to meet Mark Strong, and me and Phoebe would be upstairs in the Fox and Walker drinking very strong vodka-based martinis. Jace: Well, Nicola Walker, thank you so very much. Nicola: But thank you so much. It was really nice to get to talk to you about all these things. Thank you. 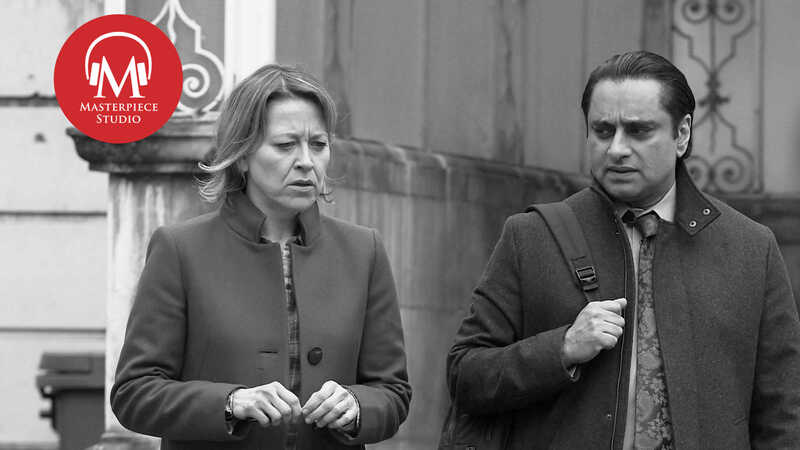 Jace: Nicola Walker’s co-star, Sanjeev Bhaskar is best known for his groundbreaking comedic roles in The Kumars at No. 42 and Goodness, Gracious Me. 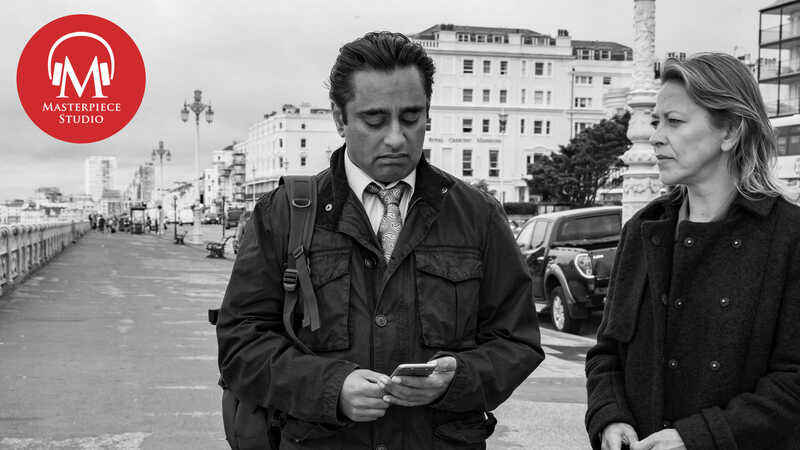 But his weighty role on Unforgotten has brought him a new swath of fans, including those desperate to know just what’s inside Sunny’s trademark backpack. 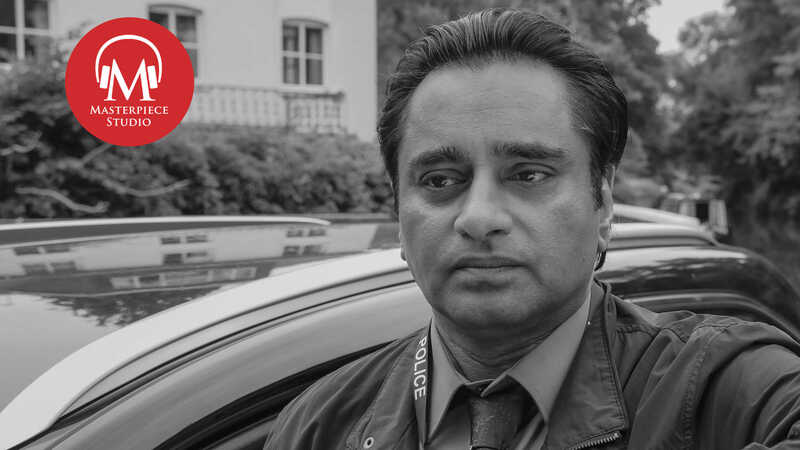 Jace: Bhaskar joins us to look ahead to the upcoming second season of Unforgotten, debuting April 29 on MASTERPIECE and here, in your podcast feeds. Nicola: And you don’t play a wind instrument, do you? Because it’s impossible to play a wind instrument if you’ve been sucking on a lemon. Apparently it really messes up your embouchure.